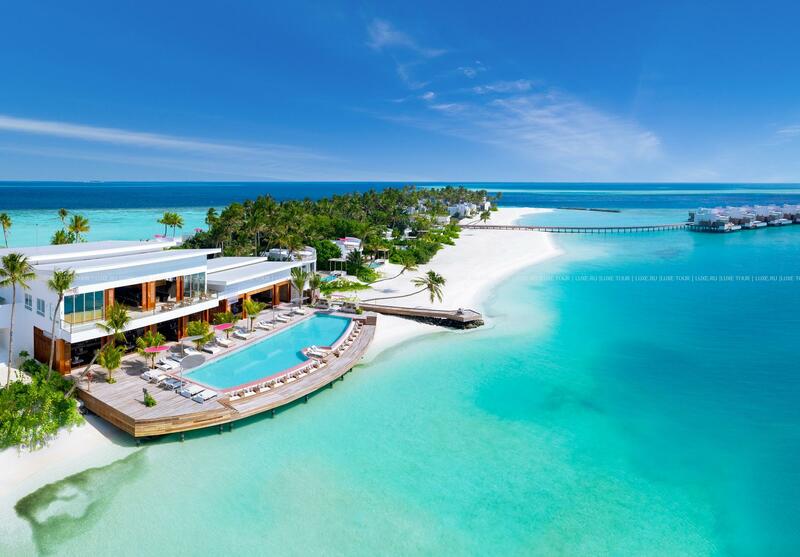 Lux* Resorts & Hotels has unveiled its latest Maldivian opening, Lux* North Male Atoll. A short speedboat transfer from Male airport, the resort sets itself apart, with 67 contemporary whitewashed double-storey penthouses replacing the thatched-roof water villas that have become definitive of Maldivian luxury. The vibrant South Beach aesthetic has been elegantly styled by Singaporean design house Miaja, who specialise in designing unique properties to reflect the beauty and charm of their surroundings. Inspired by the curves, lines and the impeccable finish of a luxury yacht, it has taken years to perfect this resort on Olhahali, a six-hectare island fringed by white sandy beaches. 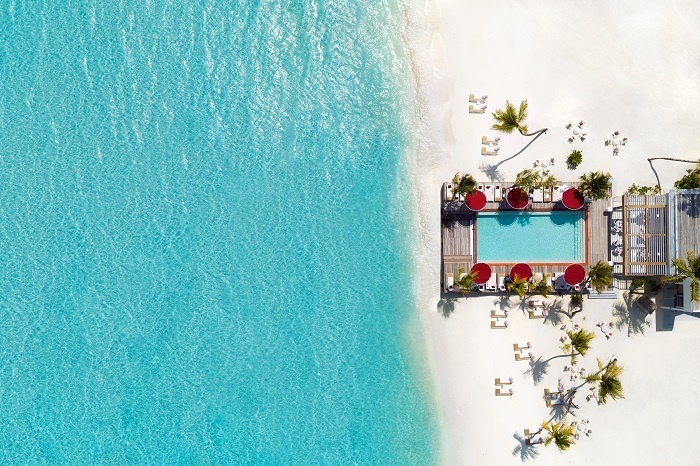 Dominik Ruhl, chief operating officer of The Lux Collective, said: “We are so excited to be opening a truly different resort which dares to get away from what we call the ‘sea of sameness’ with a thoroughly original approach to a luxury Maldivian holiday. Each of the residences sits right on the beach or over the water with vast living areas and roof decks, which allow guests to enjoy panoramic views of the Indian Ocean. With the roof deck and the assistance of a personal villa host, Lux* enables guests to host dinner parties, set up a private cinema, learn about astrology, or be taught to take photos of the night skies, all in the privacy of their own villas. Surrounded by a spectacular reef, guests can expect to find tropical fish, stingrays and the occasional pod of dolphins whilst exploring the island’s waters. For the more adventurous, there’s a world-class PADI dive centre and access to the Maldives’ famous shipwrecks and caves. The resort’s resident marine biologist is also on-hand to discuss Lux*’s coral restoration projects or discover turtles, spotted eagle rays, bannerfish and reef sharks who are all visitors to the house reef. John Rogers, general manager of Lux* North Male Atoll said: “We have carefully created a team that is dedicated to providing genuine, meaningful experiences and making each moment matter. “I am proud and excited to help Lux* create a unique new destination in the Maldives.